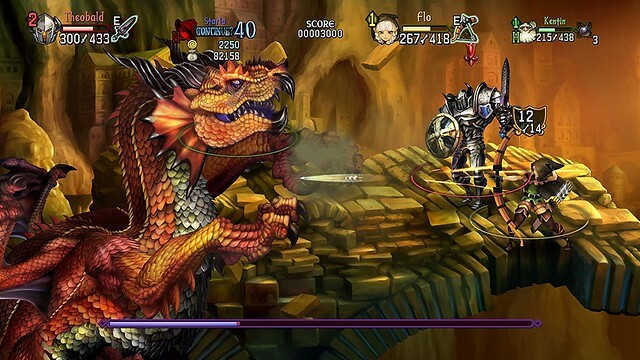 IRVINE, Calif. - May 15, 2018 - Vanillaware's couch co-op masterpiece returns in glorious 4K with a brand new orchestral score in Dragon's Crown Pro, available now on the PlayStation®4. However, a branching path looms before you; will you takethe path that leads to the convenient digital download on the PlayStation®Store, or the one leading to the physical Battle-Hardened Launch Edition, complete withmetal case and replica skill cards? No matter which path you choose, with Dragon'sCrown Pro you'll have a great time smashing through hordes of goblins and slayingdragons alongside your co-op party members. Looks like it would get repetitive and old very quickly. Don't worry, it's Atlus. They'll run out of copies for the PS4 in a few months and NOBODY will be able to find it for ANY platform, lol. Good thing everything is digital these days, then. As for the gameplay, these type of games benefit from picking up, putting down, and picking up again. It is particularly fun playing with friends. No so much solo.